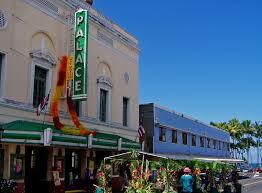 Great example of 1920s architecture (built 1925), the Palace plays movies and has live performances. 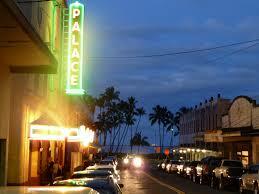 It is located downtown in the area of classic architecture that defines central Hilo. The inside has been restored to it grandeur of a bygone era. After a successful fundraiser, it is currently being outfitted with solar panels as a precursor to air conditioning. 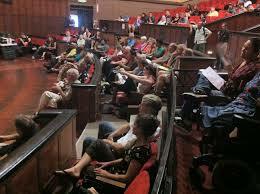 The theatre was built with stadium seating before that seating concept became popular due to the limited land area. This allowed for a generous lobby. The 14 support posts that hold up the roof trusses are solid redwood, imported from the Pacific Northeast. The theatre also boasts a sizable pipe organ. Log on to their website to see what live performances are scheduled. 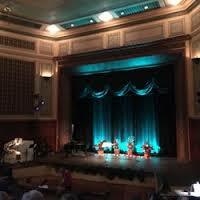 The cost of the performances is always minimal. They also play movies. Because the seating is original, there are no cup holders and the seats are close together. This is fine for a live performance, but a bit annoying for watching a movie. Watching a performance here is living like a local and usually involves Hawaiian talent. There is a small concession booth for drinks and snacks. Local volunteers are there to take your tickets. Arrive a little early to simply enjoy the beauty of the restored theatre. A great evening is dinner and a show. Two great restaurants are an easy 2 minute walk from the theatre. My favorite is Pineapples, for American dishes while Cafe Pesto has Italian dishes. Again, there are only a few live performances a month, so you may find that there is nothing worth seeing. But if you can support the Hawaiian arts while pretending to be a local enjoying Hawaiian entertainment, it will be a night you will remember.